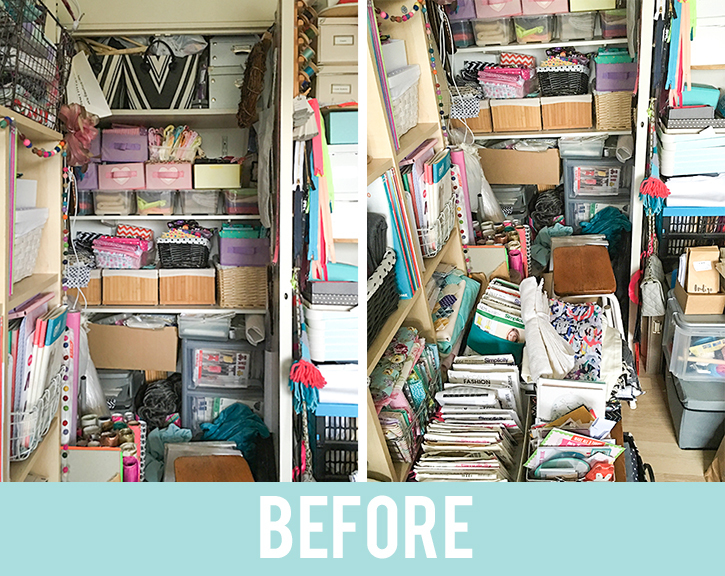 I am eternally on the look out for effective storage solutions for my craft room. The one thing that always stumps me is my fabrics and dress patterns. 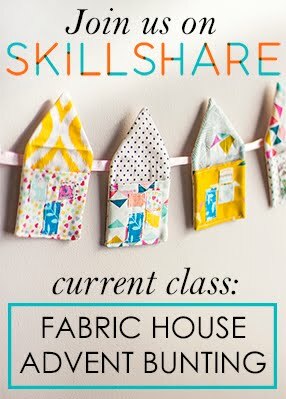 No matter how much I de-stash and donate bits of my collection I can never seem to find the right fit for all my fabric. You can imagine my joy when The Plastic Box Shop got in touch and asked if I wanted to review some of their products. Introducing my corner of shame, the corner of my craft room that you will never see on social media. 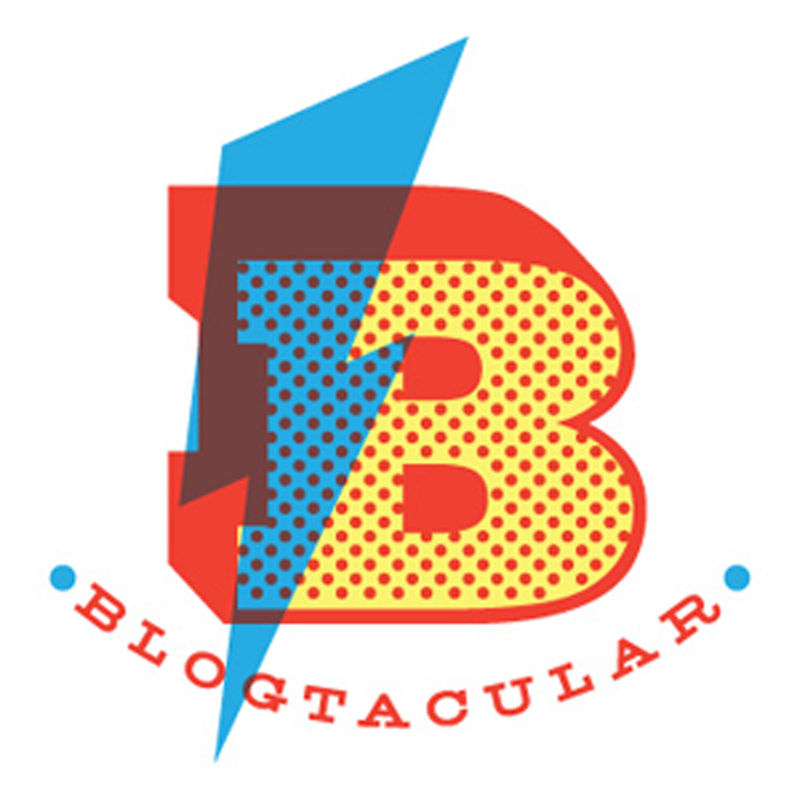 The only reason that I am happy to share it today is that thanks to the guys at Plastic Box Shop it has been totally transformed!!! I am so happy with this new system, everything is easy to find, and still looks really great. 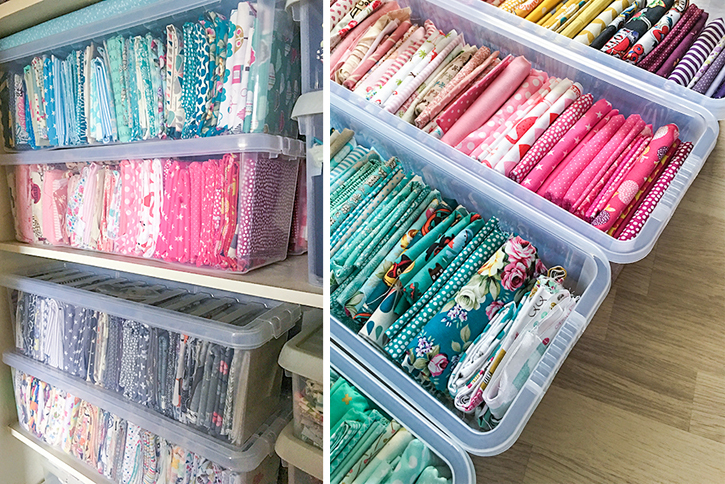 I hate not being able to easily see what I have so I went with crystal clear plastic boxes in a few different sizes to store my cotton fabrics. 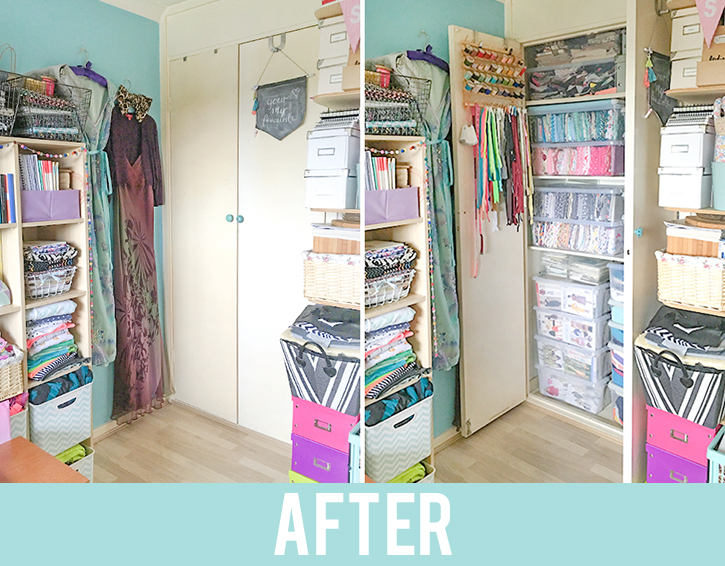 The Plastic Box shop website gave me all the measurements I needed, inside and exterior so I could make sure I was able to maximise the space in my cupboard so no space was wasted like it was before. 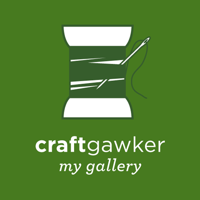 Their website made it easy for me to choose by being able to filter results by size and style, so I could get the very best combination for my needs. 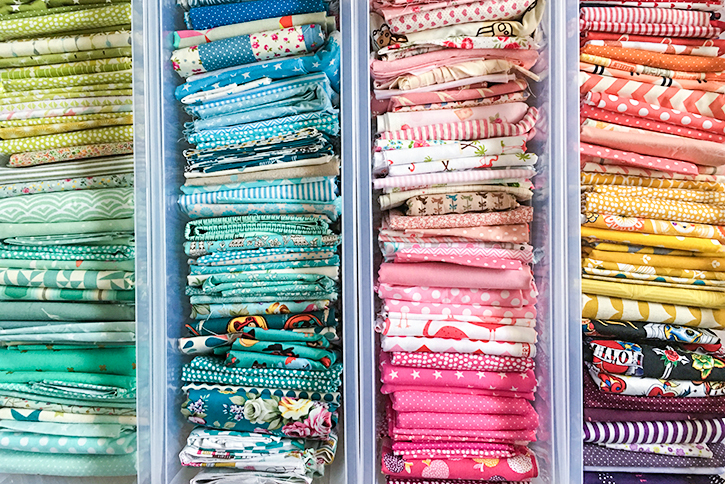 My favourite of the boxes are by far these Wham CD Storage boxes, I loved them so much I ended up ordering a bunch more for the rest of my fabrics. They are the perfect size for fat quarters and long enough that I was able to colour co-ordinate all my prints, so now I can find what I want in no time. 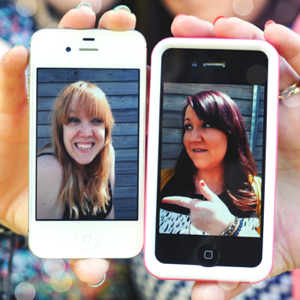 Don't they look gorgeous! I wish I could arrange everything in life in rainbow order. 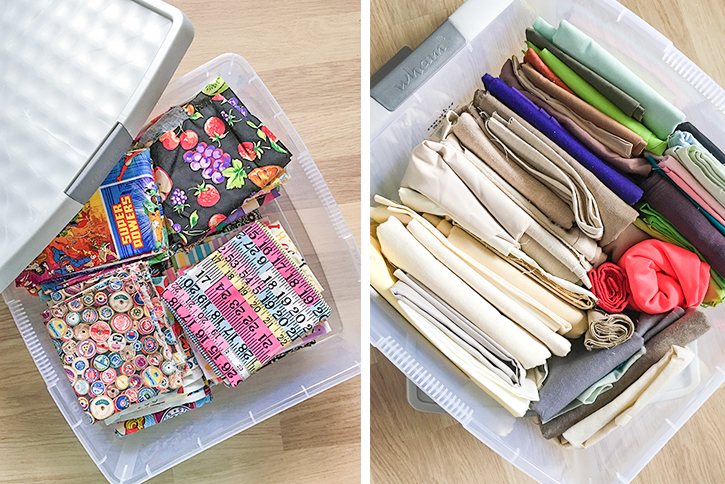 These stack-able, clear storage boxes came in deep and shallow versions and were perfect to fit alongside the long fat quarter storage boxes and big enough to store larger lengths of fabrics. 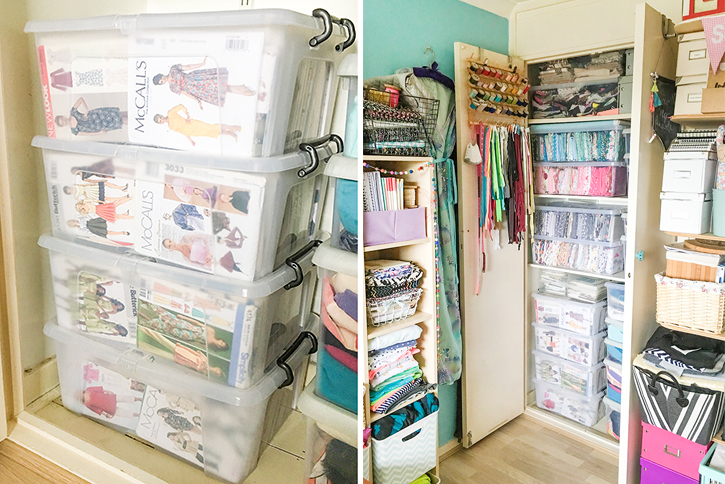 The boxes I chose to house my pattern collection had to be just the right size to fit my collection and fit in the space I had in the bottom of the cupboard. I used to have them in drawers, but they never quite fit and used to get damaged when I pulled the drawers out. 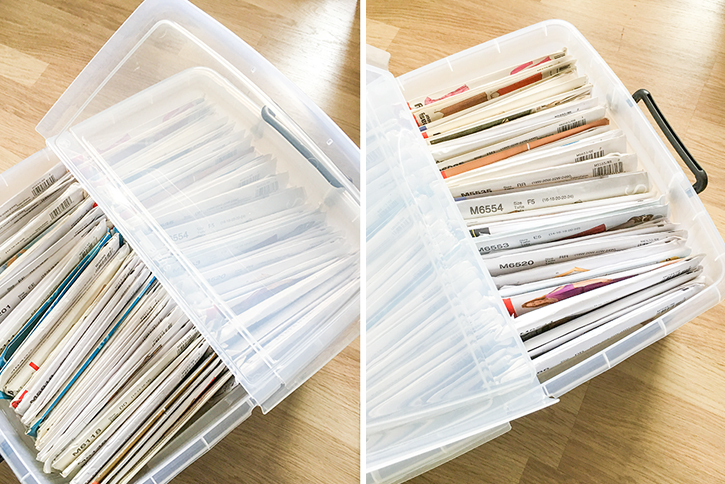 I found these deep boxes with a split opening lid, which were the ideal size to have two rows of patterns, so I am able to store all my patterns and easily get to the one I need quickly. 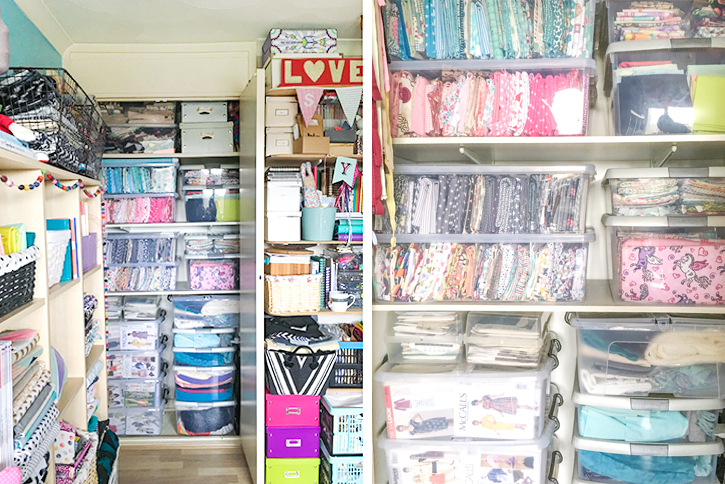 As I am sure you can tell I am totally in love with my fabric cupboard of joy! A massive thank you to the guys at Plastic Box Shop for helping me to sort my corner of shame and turn it into a place I can be proud of. 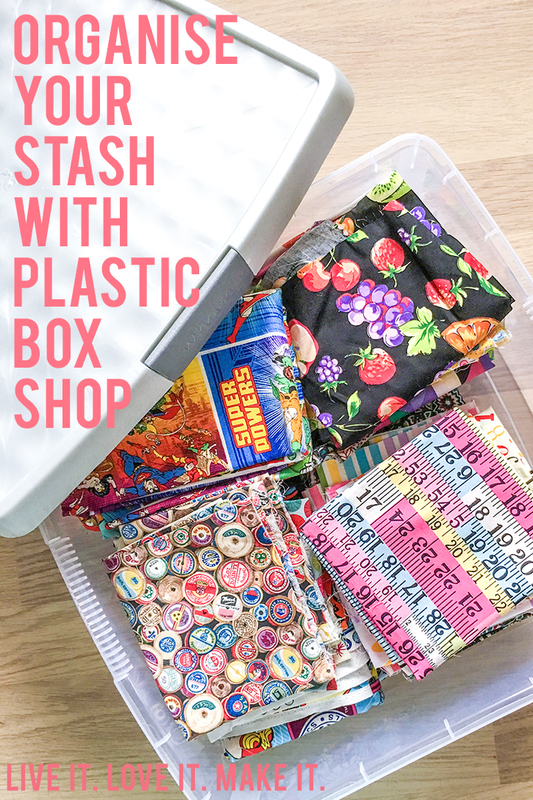 Head over to Plastic Box Shop to check out their massive range of storage options, they really do have a great selection. 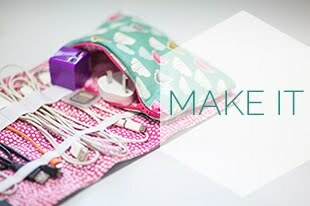 Each product listing has all the information you need to find your perfect stash storage solution.